Really enjoyed the course and learned much. Instructor were very approachable and knowledgeable. Case study was very useful to help in applying the concepts. BCM Institute’s business continuity management certification courses are catered to Asian based business continuity management (BCM) professionals. Case studies shares are of denial of access to your organisation due to mass protests, floods, terrorist attacks and bomb blasts familiar to Asia. Each level of competency allows one to acquire the knowledge and competency needed in his/her job scope. There is also a fast track course that allows one to acquire all these in 1 sitting. 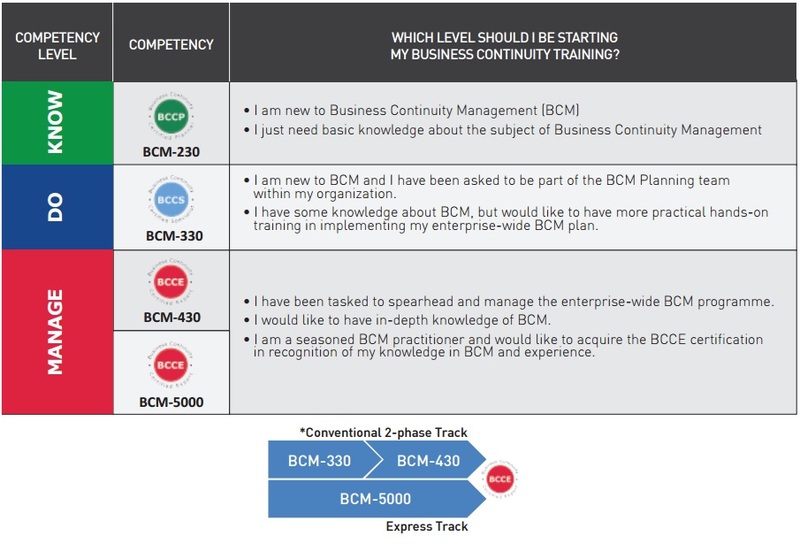 The express track course, also known as the BCM-5000 ISO 22301 BCMS Expert Implementer course is most suitable for recently appointed business continuity management (BCM) organisation coordinator. This is a 1 day basic course on business continuity management (BCM) best suited for someone who wants to have a cursory understanding on the subject. This is a 2-Day intermediate business continuity management (BCM) course that incorporates BCM-200 syllabus on its 1st day. Best suited for BCM coordinators who would like to know the theory and practical approach to BCM, there is no experience pre-requisite for attending the course. This advanced 2-Day business continuity management (BCM) course is a follow up to those who have attended the BCM-300 ISO 22301 Business Continuity Management Implementer course. Here, participants will be taught the various ways to implement, manage and maintain a BCM plan through its different maturity stages. This is the most comprehensive and holistic business continuity management course by BCM Institute. It covers syllabuses taught in BCM-200, BCM-300 and BCM-400 courses. 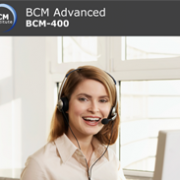 The most popular and most cost effective course, it brings participants through from BCM’s fundamentals through to its practical use as well as assist new and experienced BCM managers to navigate their organisation’s new and maturing BCM Plan.